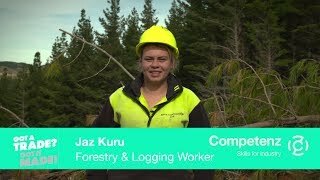 Print NZ and Competenz are now preparing for the 2015 Print Industry Apprentice Awards, sponsored by BJ Ball Papers and supported by Fujifilm and DIC. The semi-finalists have been selected and the process of shortlisting the five finalists for the overall Apprentice of the Year Award is underway. These achievements will be recognised at the inaugural Print Industry Training Graduations being held on Thursday 16 April at the Cardboard Cathedral in Christchurch and Wednesday 22 April at the Heritage Hotel in Auckland. This is an exciting initiative aimed at celebrating and rewarding those who are achieving in the industry, and an opportunity to recognise their hard work in front of their family, friends and colleagues. Medals have been designed specifically for the graduation events and all trainees will receive one. the five Apprentice of the Year finalists, who will then attend the prestigious Pride In Print Awards on 1 May in Wellington where the Apprentice of the Year event will be held. A letter and entry form have been sent to all eligible diploma trainees and training companies this month. We look forward to receiving your entry!